J80s are the newest additional to the courageous fleet. The J80s provide a versatile platform that is easy to sail, stable and fast. The J80 has a very large cockpit, a high boom, a roller furling head sail, and can comfortably accommodate 6 adults. With excellent light air performance, as well as a 1400lb keel to provide stability in higher winds, the J80 is a modern performance boat that is as comfortable on a harbor cruise as it is rounding marks on a race course. Boats may be booked out in advance on a first come / first served basis. Each member can have two advanced bookings at a time. Please note: J80 memberships are seasonal and run from May 1 through October 31. Members must pass an on-the-water checkout and written test in order to sail a Courageous boat without an instructor; please see our Flag Ratings section for more information. 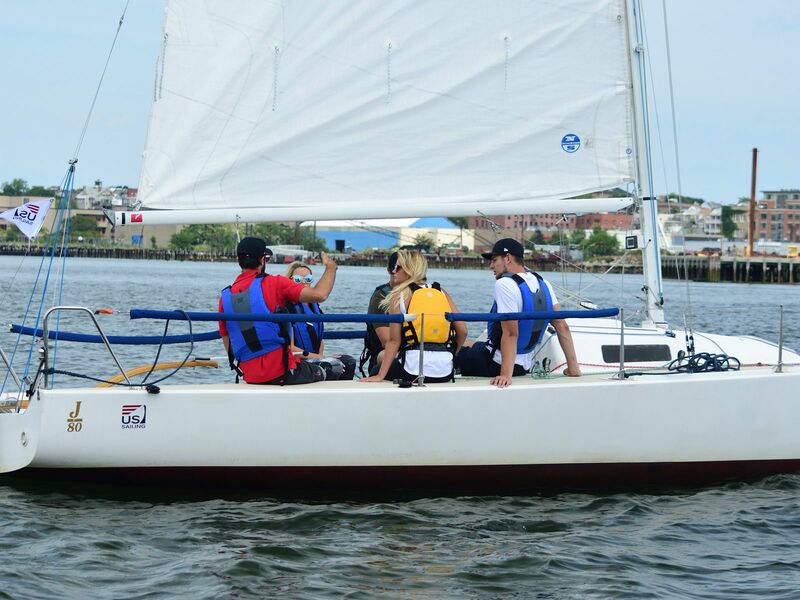 An on-the-water checkout is required for each type of boat sailed; typically, as boat size increases, so does Courageous’s expectation for seamanship and skill level. 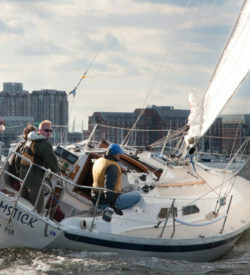 Our sailing area extends out around the Harbor Islands for qualified members. Courageous is open noon-sunset on weekdays and 10-sunset on weekends and holidays, May 1 through October 31. Members are encouraged to make a reservation as weekend availability varies. A small additional fee may be charged for some member activities. All memberships include coverage of damage caused by normal wear and tear; members are financially responsible for damage due to negligence or errors in boathandling or judgement.